Cut off a 7-8? piece of yarn to tie on the pom at the end and set is aside. Grab one end of the yarn between your thumb and pointer finger. Grab one end of the yarn between your thumb and pointer finger. Depending on how full you want your pom pom to be, you may need to wrap more yarn in this stage. Bend your cardboard rectangle slightly until the wrapped yarn can easily slide off. 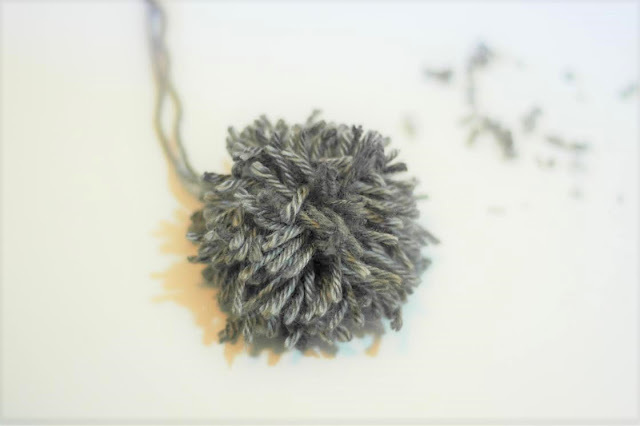 Take a long strand of yarn that�s the same color as the yarn you used before and tie it tightly around the middle of the loops of yarn.